When you’ve got Megasquirt Injection on a Rover V8 Locost 4×4, complete with 3 fans, an oil cooler, remote oil filter, there seems to be an awful lot of wiring and plumbing. Although there has been loads of progress and a couple hundred hours of work, nothing visually significant has been done to the car. 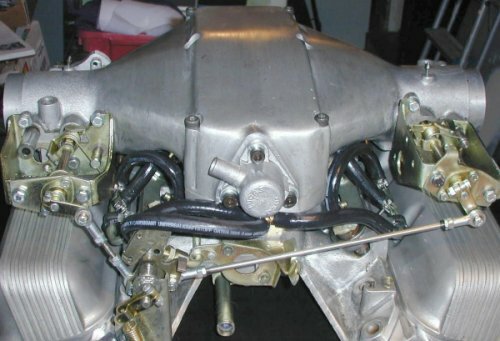 Even converting the 2 piece propshaft into a 3 piece one with better rubber mounts is completely hidden by the stainless headers. I’ve hopefully finished the wiring on my ExtraEfi Megasquirt Rover V8. Although the Megasquirt conversion seemed quite popular amongst the off road brigade, there are so many configurations of Rover V8 and Megasquirt’s finding definitive answers for even the simplest of questions took days of online research. Finding forum sites where someone claims to be an expert isn’t a problem. I even followed such advice only to find sensors were too big, threads were wrong and wiring diagrams were incomplete. It soon became obvious solutions hadn’t been tried, or if they had, not a Rover V8. Taking an engine out of a large 4×4 and putting it straight into a crammed Locost means remaking virtually every bracket, every inch of wiring loom and all things cooling. Instead of finding part numbers, the answer you usually found was how to design and specify something for yourself. One of my problems with the Rover V8, is not only can people recognise one from 50 meters, the induction and exhaust notes are also very familiar. Once I have the engine running, I’m going to experiment with the plenum. I have several spares, so I could either join 2 together to form a twin plenum, modify a Thor manifold to twin plenum or make a custom cross over twin plenum. The Thor or a custom design based around it, has the advantage of being a couple inches lower profile. In a car that stands only 40″ tall, that’s a massive consideration. The Megasquirt relies on a MAP sensor. On the P38 inlet this is added to the central air chamber. 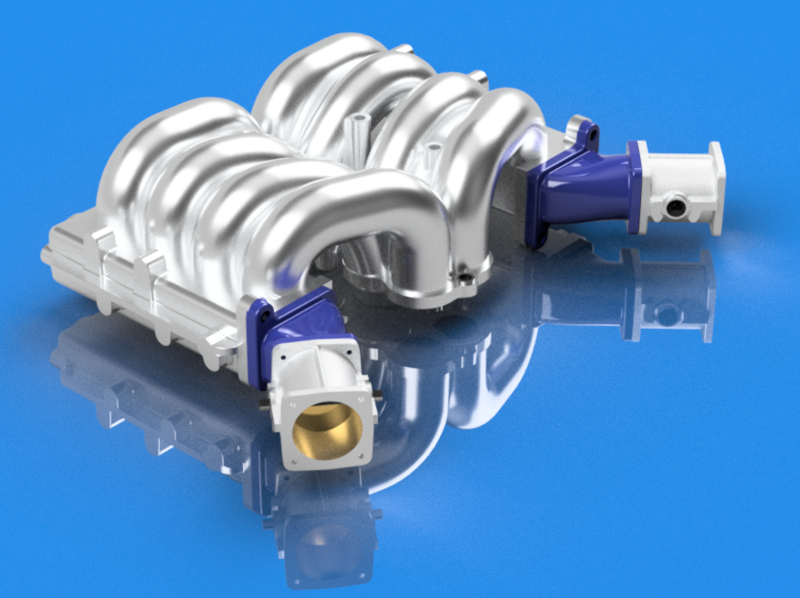 A dual plane manifold, will need 2 throttle bodies and a MAP sensor common to all runners. That will take some experimentation with a balancer hose.